Who says basement remodeling have to be dull, boring and dismal? Who says you can’t make your remodeling an enjoyment? Surely you want a basement that will look absolutely superb when you are finished with it! If it doesn’t look the least bit superb in your eyes, then you or someone else has done something wrong! Many people tend to convert their basements into game rooms or otherwise entertainment rooms. If you are a video gamer or simply someone who loves to sit and watch all of the hottest new movies, then you can slap a T.V (well, not quite slap) and a PlayStation or an Xbox right into your basement, and even throw in some surround sound! (However, do make sure that you assess all of your support beams in the basement and make sure the sound waves from a surround sound speaker won’t weaken them). You can also, if you prefer the quiet life, convert your basement into a quiet reading room, or even a social room (where you can sit and talk with friends). One of the more interesting things people do to their basements is they also turn it into a sort of personal gym, where you can find all of the things needed. If you are a fitness buff, then adding a personal gym in will save you all of the walks to the town gym (although if you’re into fitness, how would that bother you?). Some people, if they are more of an artsy type than others, may convert their basement into a music studio or a painting studio. Imagine pseudo-Mona Lisa and Beethoven in the same room. What a harmonious blend! If your basement is big enough (although it’s a slim possibility), you could even bring in inspectors and contractors and see about putting in a Jacuzzi in your basement…however, your basement would have to undergo special renovations to make it possible to accommodate even a small Jacuzzi just big enough for you (there’s a bunch of hoopla to go through in this event, but if you like relaxation …). One other thing you can do is to convert your basement into an apartment and rent it out if you are in need of some cash (you’d recoup the costs soon enough if the apartment looks good). 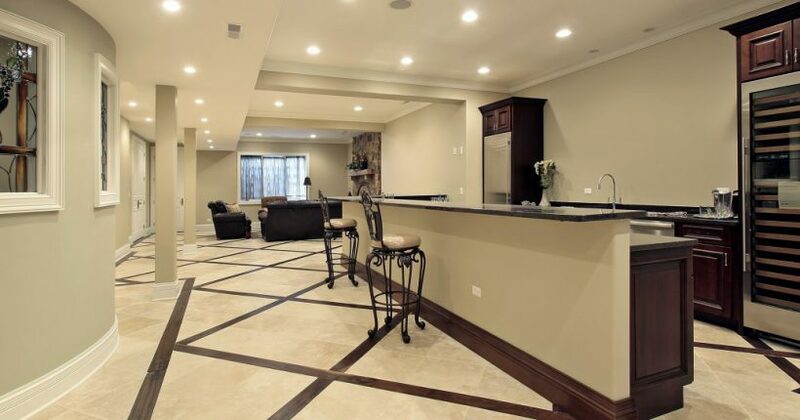 The possibilities of remodeling your basement are endless!